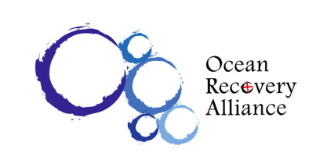 We have partnered with Ocean Recovery Alliance to reduce our plastic footprint. Using the Plastic Disclosure Project platform, we report and measure our plastic usage. Based on this data, we then donate the necessary amount of funds annually to Plastic Catch which supports fisherman in Hong Kong and soon Cambodia, China and other locations to retrieve plastic from the ocean, offsetting our plastic footprint. From just $1 a day, you too can offset your plastic footprint by donating here. After calculating our carbon emissions, we engaged foodwatershelter to plant 400 trees to offset our carbon emissions. foodwatershelter is a not-for-profit organisation in East Africa that builds and manages eco-friendly villages. In these villages educational, social, health, permaculture and micro-business facilities are provided for vulnerable women, their children and orphans. The money donated by Undivided Food Co. in 2018 went to planting new trees in and around the Kesho Leo Children’s Village. Each tree will provide shade, mulch for the shamba, food for the animals and residents, and also remove carbon from the atmosphere. Learn more about foodwatershelter here. We are rendering and recycling our bone waste products into animal products, and all of our veggie waste is composted. This has enabled us to reduce our landfill waste by 90%. We have hired a number of refugees from the Asylum Seeker Centre. Offering employment to new arrivals is a tangible way to help Asylum Seekers settle quickly into the Australian way of life. Donated to the 2018 Charlie Teo Foundation inaugural Gala Dinner. Donated to the OzHarvest Fundraiser as well as donated 50kg of Australian grown pepper. Donated to a 2017 Save The Box fundraiser, raising money for gynaecological cancers. Donated to the Centre 360 Youth and Family Service Christmas Lunch event, providing lunch to disadvantaged young people and their families. Donated to Two Good Co to help them provide to domestic violence shelters.